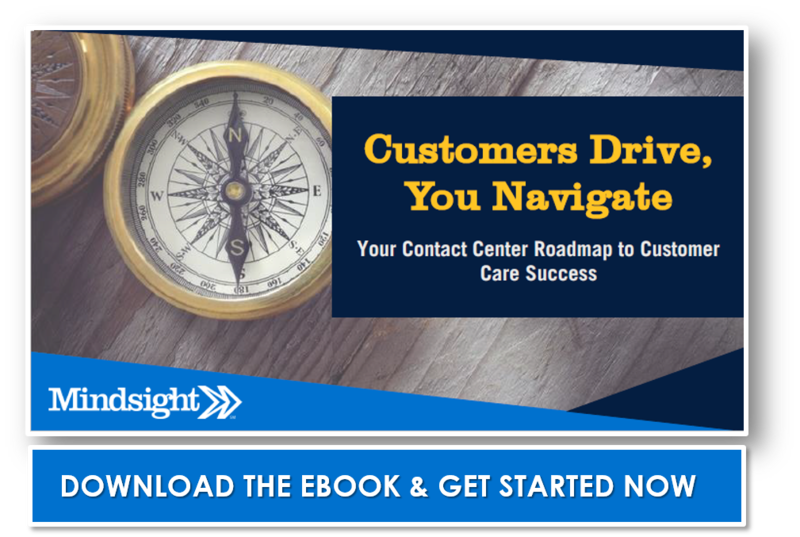 For over three years, Mindsight has worked with one of the largest and most successful independent physician groups in Illinois, refining and customizing their contact center platform to fit their precise needs. Our involvement with this organization illustrates an important reality about technology and its impact on the customer experience. Our shared goal is to continually improve customer experience. Our client’s frustrations with their contact center began about eight years ago in 2010. The provider at the time was failing to deliver the service levels, growth and functionality our client needed. Rather than continue struggling with their limited platform, they opted to invest in a new contact center in the hopes it would fare better. The goal? Improve customer experience. The new solution required a substantial investment in software and consulting fees over a three year period. To accommodate the environment, the new contact center required significant customizations. Namely, it needed to support over 1,100 agents and integrate with an enterprise telephony platform developed by a different manufacturer. Over the next four years, the healthcare company cycled through technology consultants and escalated support tickets to both their contact center platform manufacturers as well as their telephony solution manufacturer. Along the way, they accrued an enormous amount of undocumented custom coding in an attempt to fix integration problems, facilitate management tasks, manage over 200 call routing profiles, and provide a seamless patient experience that would improve customer experience. Despite all these efforts, the contact center system continued having multiple persistent issues and struggled meeting expected service levels. Frustrated, our client nearly made the decision to rip out their newly purchased contact center and install another new contact center platform. Going down this path would have cost three to four million dollars overall with no guarantee that the same problems that caused them to switch platforms in the first place would not come back. It was at this critical stage that the company engaged with Mindsight. Mindsight’s focus was threefold. First, we honed in on understanding the client’s business needs, existing challenges and where their contact center fit into that dynamic. From there, we used that understanding to identify ways to simplify the environment. One of the core challenges of the environment was the ever-swelling amount of custom code. Our team needed to cut through this confusion to ensure the platform addressed the real needs of the environment. Finally, we had a responsibility to deliver a level of customer service that was superior to the previous technology provider. With these approaches working in concert, Mindsight was able to deliver a single, effective solution to their immediate problems and chart a roadmap for future projects to improve the environment. First, we took the list of ongoing problems with the system and one by one began to address them. By working to simplify the custom coding provided by previous IT consultants, our team was able to eliminate issues and establish a functional level of compatibility between their call-processing software and the contact center platform. Additionally, we implemented call recording and quality management with scoring. The previous technology consultants were often slow to respond and slow to react to problems. Drawing contrast between them and Mindsight, our team addressed and fixed issues within the hour whenever possible. Mindsight focused on simplifying the contact center environment and training the customer to handle most changes internally. After initially stabilizing their environment, Mindsight has continued to work with this client for over three years to optimize the contact center. Mindsight implemented a workforce management solution and completely de-customized all the call routing to allow for greater agility in an ever-changing patient journey. Electronic Medical Records (EMR) integration and self-service are next on the list. Once complete, this healthcare provider will be empowered to make their own changes to the environment as needs arise. Our client sent support request after support request to their previous consultants and the technology manufacturers to no avail. No one could figure out how to make their call-processing software and their contact center platform compatible. They had the right tools in hand to continue providing exceptional patient care, but there was still a missing link to address. Rather than continue working with technology consultants unable or unwilling to provide real result, our client took decisive action. To improve their environment and ultimately improve services for their patients, they found a technology provider with the breadth of expertise necessary to integrate the two contact center solutions.